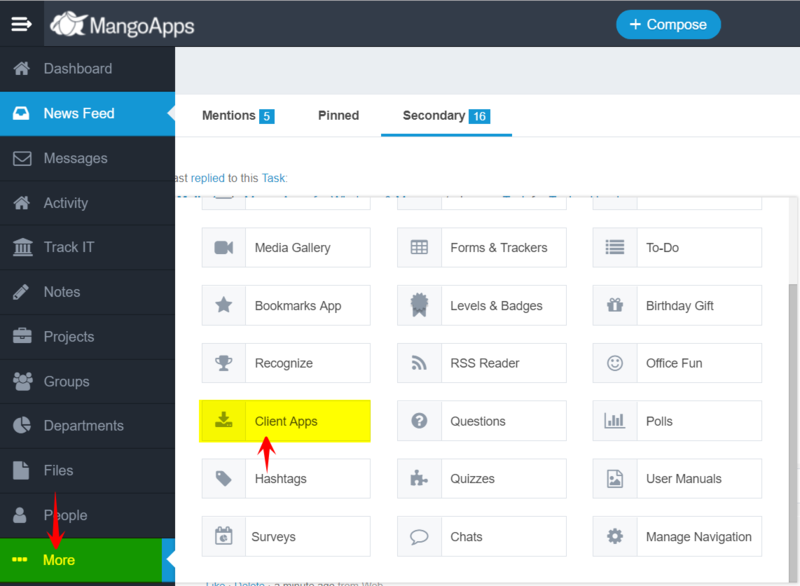 Where Can I Download Mangoapps Clients for Ios, Android, Windows or Mac? /Desktop - Windows & Mac Apps /Where Can I Download Mangoapps Clients for Ios, Android, Windows or Mac? Download clients for MangoApps while logged into the web client on your domain. Click the “More” menu in the left hand navigation then find “Client Apps”. It will display all the available clients which can be downloaded. Alternatively, you can also download the MangoApps clients from your login page.